Welcome to the office of Anthony F. Riforgiate, DDS – your home for friendly family dentistry in Santa Maria, CA. When it comes to patient care, we’re not a corporate dental office with a revolving door. Dr. Riforgiate understands how important it is to build positive relationships with patients and listen to their needs and concerns. Friendly and caring service are at the center of our dental treatment philosophy. As a teen, Dr. Riforgiate himself was fearful of the dentist and understands what it’s like to be apprehensive about receiving dental care. To promote quality care in a comforting environment, we can explain all treatments and help patients better understand their oral health with technology like intraoral cameras. Dr. Riforgiate and his team take a whole-patient approach to dentistry. We recommend treatments that boost your health, oral function, and appearance, instead of simply treating one-tooth-at-a-time. 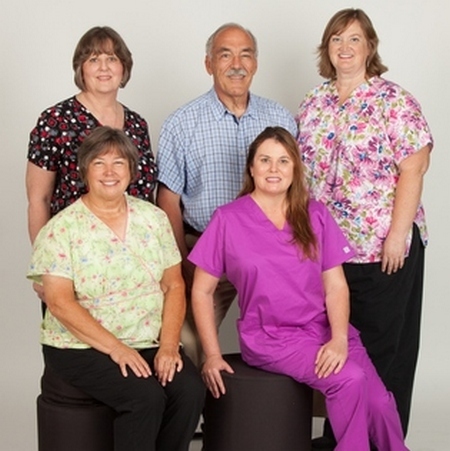 Our whole dental team treats your oral health with your best interests in mind. As the patient, you are the most important part of our dental practice. We want you to enjoy renewed health and wellness, and a beautiful smile, for life. We’re honest with our patients and provide dental care that promotes their best interests. Our dental team educates patients on how to take care of their teeth and offers as many options as possible for treatment. Dr. Riforgiate helps you decide what will work best to meet your goals and leaves the ultimate decision to you – our friendly dental professionals give you power over your own treatment plan. Visit our Santa Maria Dentist – Contact Dr. Riforgiate Today! We love getting to know new patients, as well as seeing familiar faces. If you’re ready to schedule your next dental appointment or would like to request a cosmetic dentistry or restorative dentistry consultation, please call our office to speak with a member of our team.